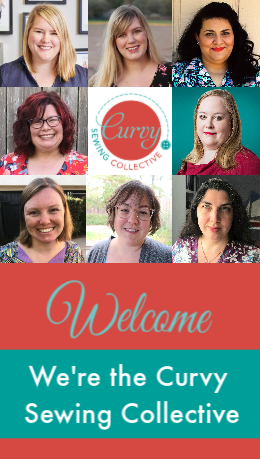 Last year the Curvy Sewing Collective hosted the Curvy Year of Sewing (see all the posts here) with bi-monthly themes and featured patterns to help focus your sewing. The CSC isn’t hosting this event again this year, but don’t count them out for some themed sewing later in 2019! 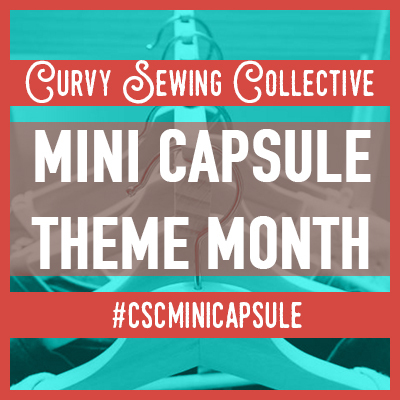 In lieu of the Curvy Year of Sewing, here are some fun sewing challenges, themes, or planning tools that you might want to consider participating in over the next few months! None are specific to curvy sewists, but all are open for a curvy sewists! While you’re at it, check out this post over on the Sewcialists blog that delves into the pros and cons of each sewing challenge! This is a gentle challenge. It’s not one that you can fail. It’s meant to be flexible, a tool you can use to evaluate your motivations and needs for working towards specific things as the year goes on. This is meant to be a challenge focused on learning more about yourself and your making habits while achieving goals. Work at your own pace and join in at any time. – That’s it! I was looking at some of my recent pattern purchases and realizing that I had a real theme going… lots of patterns that have interesting twists, ties, or knots incorporated into the garment as an eye-catching design detail! I’ve really been drawn to these simple, but dramatic details, apparently. With this theme in mind, I decided, on a whim, to organize a little twist and tie focused sewing challenge! …Sew Fancy Pants is a challenge easily tailored to fit your personal sewing goals. 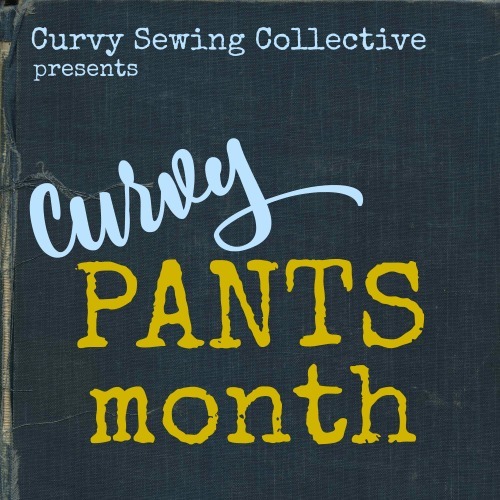 The mission of Sew Fancy Pants is to get members of the sewing community making pants that are their own definition of “fancy” and have a little fun while we’re at it. Everyone’s definition of fancy pants might be different, and that’s ok, we accept all forms of fancy pants. I hope this gives you a few ideas to keep you occupied in early 2019! These all look like a lot of fun! I really like how casual and relaxed the “rules” are, too. I tend to stress out when I feel pressured to make something on a deadline, and it then winds up not getting made. It’s very nice to have laid back guidelines like these. Love it! I love how flexible they are, too! No pressure, but lots of inspiration. Such a great introduction to sewing in the new year, with enough of a challenge to appeal to many sewists. Thank you, Meg, for a great launch to 2019! Glad you enjoyed it! Happy 2019 to you, too! Happy New Year from ‘Down Under’, Meg! You won’t believe how timely the ‘Sew Twists and Ties’ theme is for me. For several weeks now I have been trying to find a pattern for a top that has a twist at, or just under the bust. I can’t find one. I had such a top in RTW years ago that I loved and would like to replicate it. I will be watching this subject closely. You are a gem!! I found four patterns in your pattern roundup that would fit the bill, Meg! Thank you so very much. Now to decide…..! !